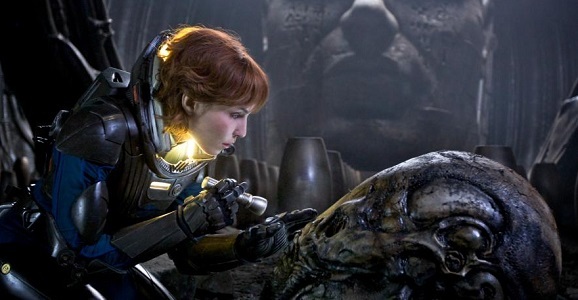 I won’t sit here and say that Ridley Scott’s massive return to sci-fi, 2012’s Prometheus, was a failure or anything, as it was perhaps one of the most gorgeous and conversation-friendly movies of the past decade. But Ebert gave it the highest rating possible, which is a move almost as questionable as everything the characters do in Prometheus. Ebert says that it “develops horror scenes comparable to Alien” and calls Michael Fassbender’s android David “sort of a walking, talking, utterly fearless HAL 9000,” while championing all the answerless questioning that the narrative provokes. But never does he call this gang of supposedly genius misfits out for handling this mission with all the skill and precision of a game of Operation played on a roller coaster. And I’m not convinced that Noomi Rapace “continues here the tradition of awesome feminine strength begun by Sigourney Weaver in Alien.” At least he gave Alien four stars as well, though I don’t think anyone in their right mind would critically put these films on the same shelf.